The woman pictured here, had just boarded her vehicle by way of an access ramp, while seated in her wheelchair, and had maneuvered herself into the driver's-side swivel seat. At this point before embarking on her drive, she was fastening her safety belt. 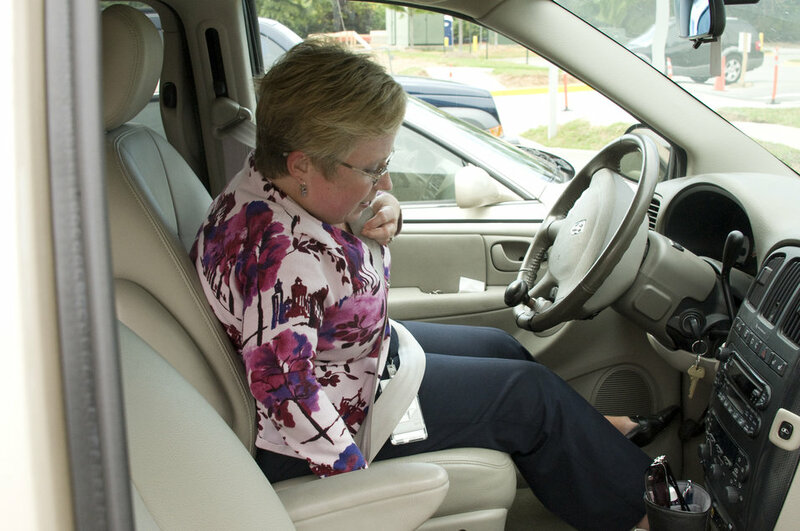 Note the additional steering wheel handle, which due to her disability, would enable her to operate the accelerator and braking system using this hand control.